Betty Makoni has been formally invited to attend Women and The World, a celebration of the 100th Anniversary of International Women’s Day, to be held at 142 Throckmorton Theatre in Mill Valley, on Monday, March 7th, 7:30 pm. The event is a benefit for the work of their local domestic violence agency the Center for Domestic Peace, home of Marin Abused Women’s Services. It is being co sponsored by the United Nations Association-San Francisco chapter, UNA-Marin and UNA-Sonoma counties, along with GlobalChill.org, a burgeoning project connecting youth creative activists through the performing arts toward a culture of co existence. Girl Child Network Zimbabwe has sent video footage and the center is thrilled that the footage of teen girls from all over the world will include a girl from the Girl Child Network program in Zimbabwe. On 8 March 2011, women, children, and men from all over the world will make history. By joining together to stand on Bridges all over the World, we will mark the 100th anniversary of International Women’s Day. Last year, over 20,000 people took part in the first-ever Join Me on the Bridge campaign www.womenforwomen.org/bridge with 119 events including Afghanistan, the Democratic Republic of Congo, Kosovo, Canada, Mexico and Belgium. This year, International Women’s Advocate & Recipient of the CNN Hero’s Award Betty Makoni will be the Key Note Speaker for “Women on The Bridge” in Santa Cruz. 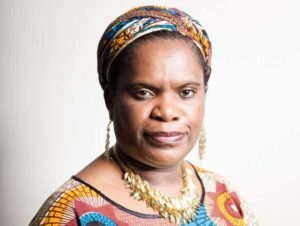 Betty Makoni founded the Girl Child Network in her home country of Zimbabwe to provide a safe haven for young victims of sexual abuse. Her organization has rescued more then 45,000 girls since 2001.